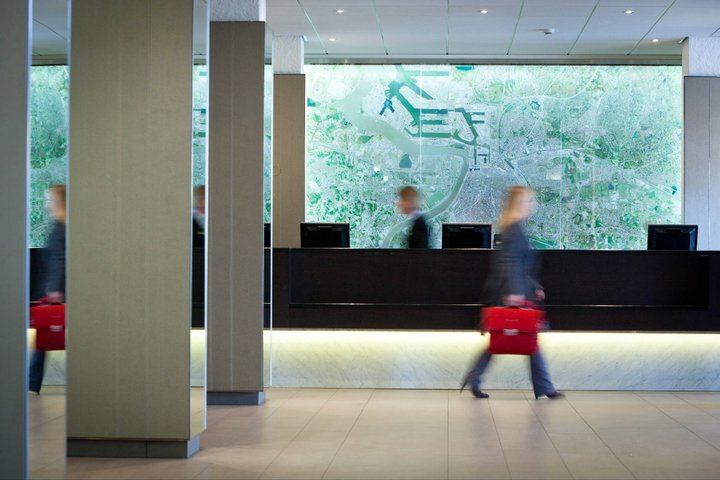 Late check-out can be requested in advance via our Reception Team for a charge of € 12,5 per additional hour. As from 17h00 a full additional night will be charged. Our hotel offers free wifi to our guests. 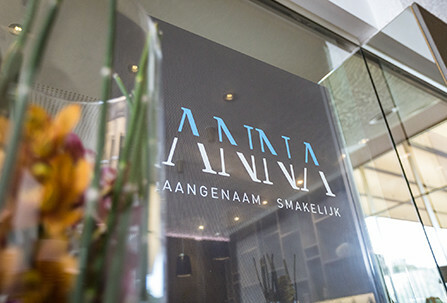 ANNA Living & Bar is named after the famous St. Anna beach on the left bank of the river Scheldt. Just like a beach our Living & Bar is the ideal place to relax and unwind with a drink in a pleasant atmosphere. Both in our interior and in our menu you will discover references to our city which we call “’t Stad”. Our Chef, Ben Van Den Broeck, also prefers to work with local products and ingredients that are closely linked to Antwerp. Breakfast, lunch, dinner, snacks or appetizers…everything is possible! When you are in a hurry make sure to try our Fast & Fresh-formula: you choose a main ingredient, garniture & a dressing and our Chef will create a tasty and healthy dish for you in no time. ANNA Living & Bar is easily accessible and there is ample parking space in the vicinity which makes it the ideal place to meet for business and pleasure get-togethers! Too busy in ANNA Living & Bar or you want more privacy for your business get-togethers? Try one of our BABBEL meeting rooms! 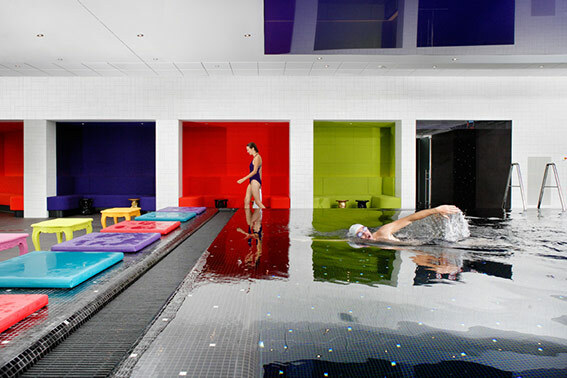 The large pool measures 6 by 12 meters and is perfect for swimming laps. The swimming pool is constantly heated to a pleasant 26°C. It’s undeep water (1m39) makes it perfectly safe for the younger hotel guests. Looking for a special event location? Our Octopus Event Pool hosts happenings that are like fantasies! 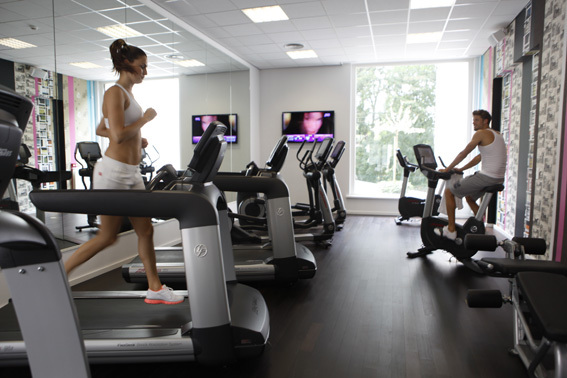 After a workout or refreshing swim take advantage of the sauna or steam room! 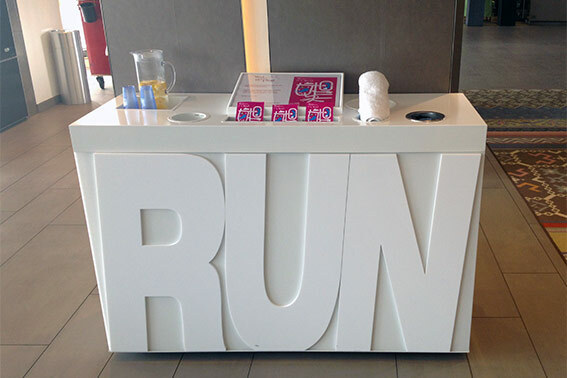 Good news if you love running: we are located nearby a huge park called “Nachtegalenpark”. The ideal scenery for jogging!